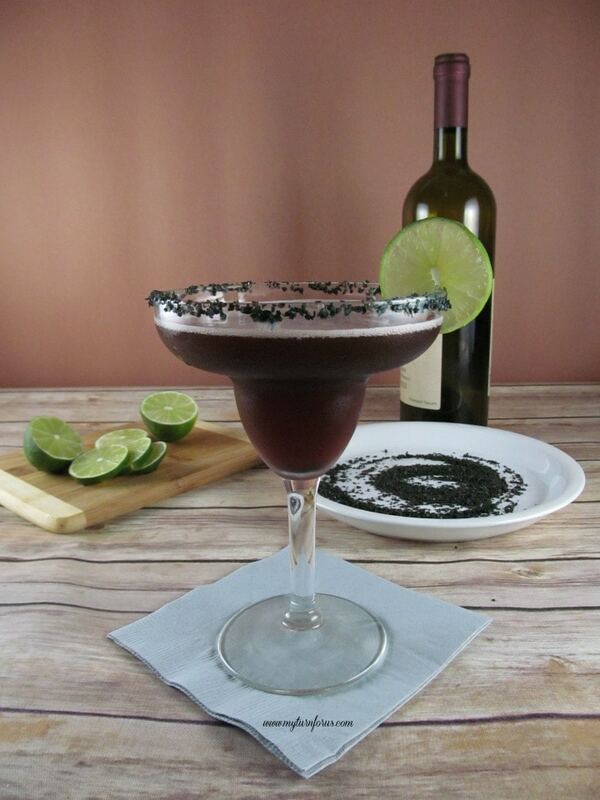 Red Wine Margarita with Black Lava Salt. The Hawaiian Black Salt with the deep color of the margarita wine mixture makes it an impressive presentation. 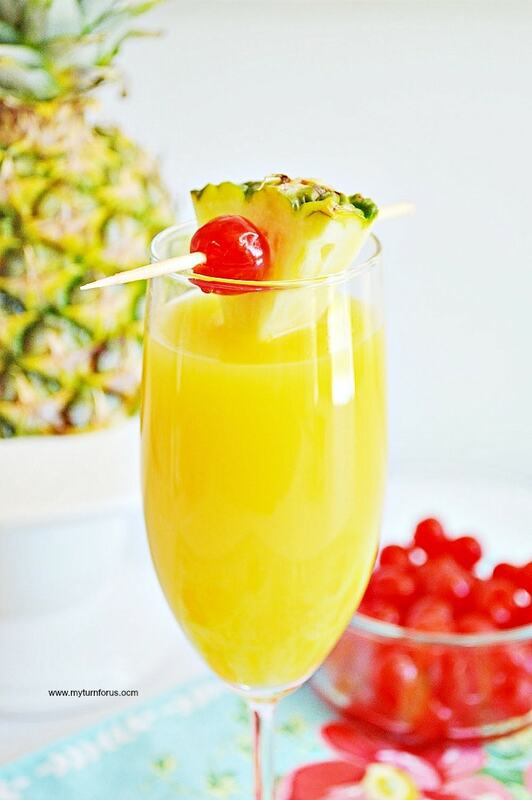 It also would be amazing for a Halloween cocktail or Halloween beverage to serve at a Halloween party. 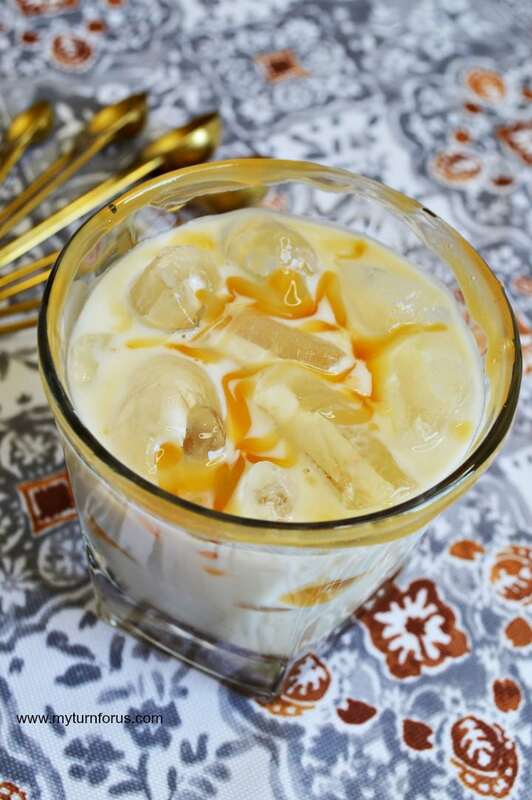 Are you looking for something out of the ordinary to serve your guests or just a bewitching little beverage for a quiet evening on the patio? 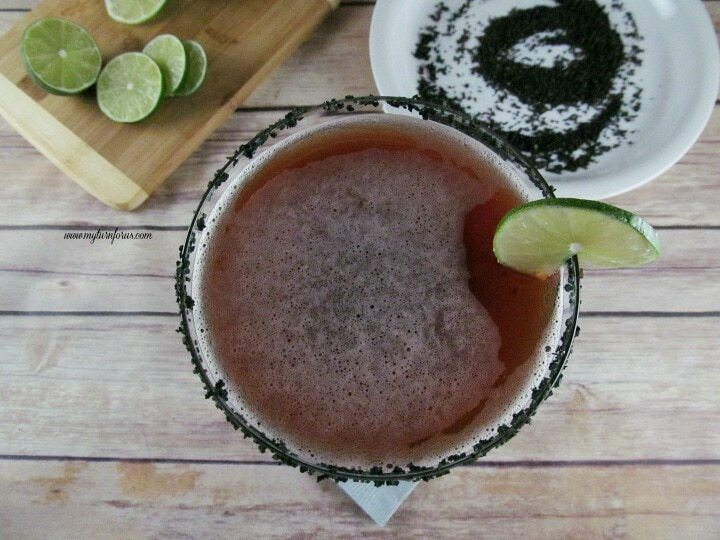 Either way, this Red Wine Margarita with Black Lava Salt will be your answer. It’s quick and easy to make and with the addition of the Hawaiian black salt, it’s kinda eerie. We have been searching high and low for an adult beverage that would be great to serve for a Halloween party. I didn’t want anything green or to have to deal with dry ice for that extra spooky effect but I wanted something that is a little classier but also adventurous. 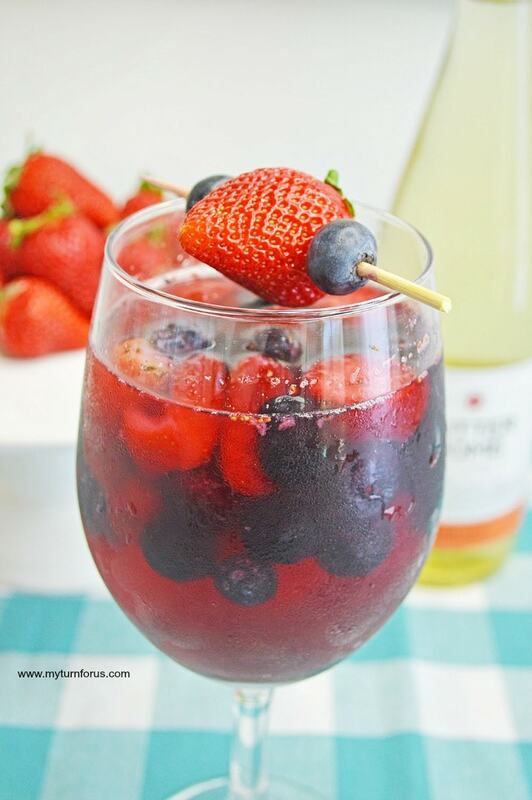 We found some great recipes for wine margaritas which would be great especially if I used red wine with a deep blood color. But who wants plain old white salt around the rim of a Halloween drink? Not I! Oh man, did I discover some fun things about “black salt”, and that there are several different kinds of black salt. One is a pungent smelling salt from South Asia that is used in numerous Indian dishes. Not really what I was looking for. 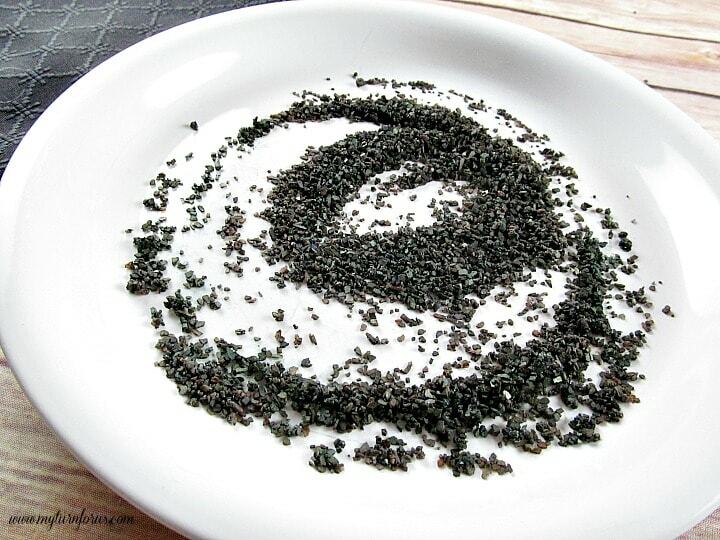 And there is another kind of black salt that’s used in hexing, especially into driving away evil or in casting spells. It’s usually made by scraping a cast iron skillet or/and adding ashes from a fire to sea salt. AH, No thank you, not on my margarita glass! But the effect would be fun especially with the whole bewitching storyline. I’m sure you can dye kosher or sea salt black, by using food dye and it tastes just like salt that you would expect on a margarita glass. But that is a lot of trouble when this Black Lava Salt can be purchased thru Amazon. 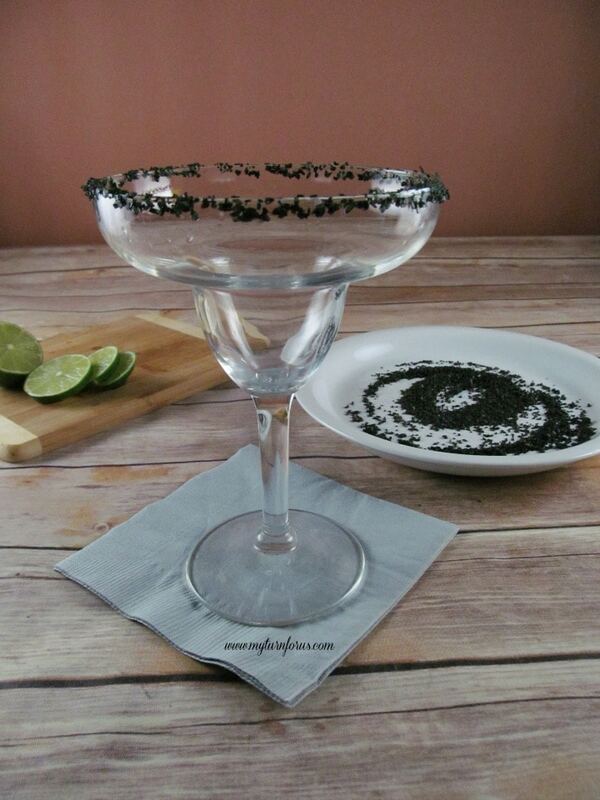 I am loving this mysterious black salt on the rim of a margarita glass. And it’s not just for Halloween, I think the addition of the Hawaiian lava salt makes it an elegant beverage. Now with the Margarita wine mixture poured in, it’s gorgeously spooky. 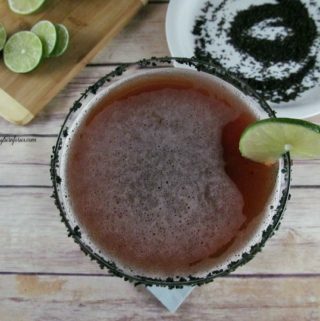 I hope you will enjoy serving this Red Wine Margarita with Black Salt to your guests for a bewitching evening. But don’t wait till Halloween, try one this weekend!